–Read coverage of the launch on the City of Knoxville Mayor’s blog.  KNOXVILLE, TN — (January 28, 2019) — Mayor Madeline Rogero, Police Chief Eve Thomas, and Big Brothers Big Sisters of East Tennessee CEO Brent Waugh will announce on Monday the launch of Go Big! Knoxville. The new initiative aims to defend the potential of at-risk youth by building bridges between marginalized communities and the police who serve them. The program has a goal of recruiting 50 community mentors by July 2019. The press conference will include an address from BBBS-ETN mentor B.K. Hardin, a police officer who was injured in a brutal, random attack while directing University of Tennessee game day traffic last fall. Hardin will discuss how mentoring helps take the stigma off the uniform. VISUALS: Bigs and Littles who are part of the new program; Mayor Rogero launching the initiative; Chief of Police Eve Thomas; Knox County Juvenile Court Judge Tim Irwin; “Ribbon-cutting” at 6:30 p.m.
Additional interviews available by request to Elizabeth Malone at EMalone@KnoxvilleTN.gov. More information available at TennesseeBig.org/GoBigKnox. 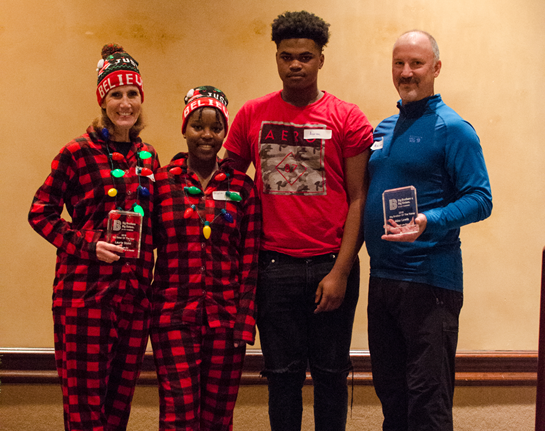 KNOXVILLE, TN (December 20, 2018) – Alcoa Foundation has awarded Big Brothers Big Sisters of East Tennessee a grant in support of its site-based mentoring services. BBBS-ETN currently partners with nearly 40 public schools throughout East Tennessee, including Knox and Blount counties. 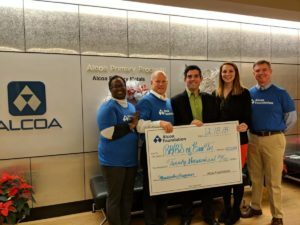 The partnership with Alcoa Foundation will allow BBBS-ETN to collaborate with additional middle schools and to support a number of enhancements for existing site-based mentoring pairs. 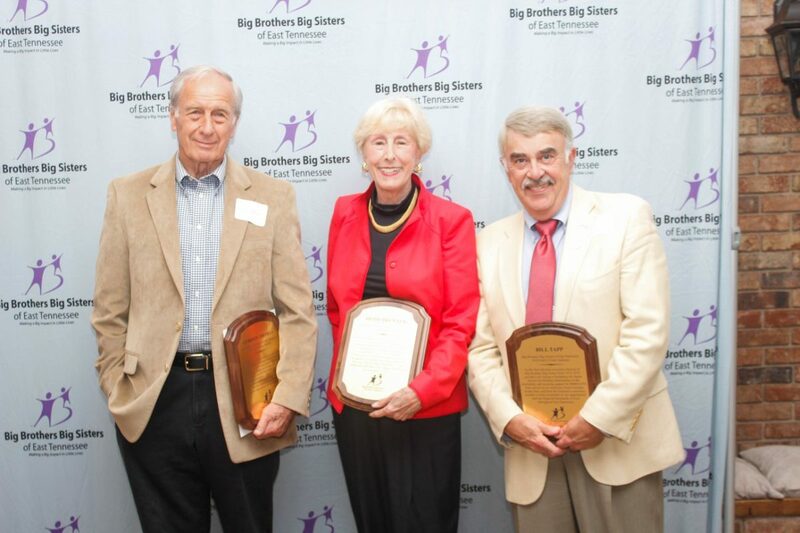 BBBS-ETN aims to reach 5% more children in its site-based program through its partnership with Alcoa Foundation. The organization also plans to increase its site-based mentoring match length by 25% to 25 months. The attached photos was taken at a check presentation on Dec. 18. 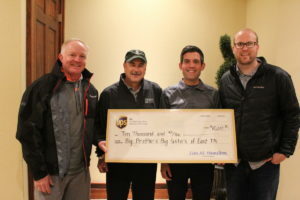 KNOXVILLE, TN − (December 4, 2018) – Big Brothers Big Sisters of East Tennessee has received a $10,000 grant from The UPS Foundation in support of its Mentor 2.0 program at South Doyle High School. The technology-enriched program focuses on college readiness and success for high school students, many of whom will be first-generation college students. Mentors and mentees participate in weekly activities, discussing important topics such as professionalism, perseverance, self-advocacy, college financial aid, and career choices. Established in 1951 and based in Atlanta, Ga., The UPS Foundation—which drives global corporate citizenship and philanthropic programs for UPS (NYSE:UPS)—identifies specific areas where its backing clearly impacts social issues. In support of this strategic approach, The UPS Foundation has identified the following focus areas for giving: volunteerism, diversity, community safety, and the environment. 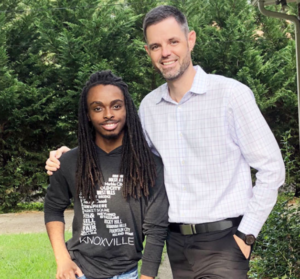 KNOXVILLE, TN (Nov. 26, 2018) – Big Brothers Big Sisters of East Tennessee (BBBS-ETN) will launch on Tuesday a new program aimed at improving literacy rates through mentorship. The Reading to Learn initiative establishes a firm foundation for students at Title 1 schools in the Tri-Cities area. In partnership with Reading Buddies and the United Way of Bristol, R2L matches mentors with third, fourth, and fifth-grade students. Bigs receive literacy-focused coaching, and BBBS-ETN will provide books for mentors to review with Littles during weekly, one-on-one meetings. The Reading to Learn program is made possible through a gift by Don and Ginia Shawl. BBBS-ETN aims to reach 25 students in the first year of the program. The Reading to Learn initiative will officially launch during an event at Anderson School on Nov. 27. Guests will include Bristol Mayor Margaret Feierabend; Bristol Tennessee City Schools Director of Schools Dr. Gary Lilly; United Way Bristol Executive Director Lisa Cofer; Reading Buddies Volunteer Coordinator Kay Ward; Anderson Elementary Principal Dr. Ginger Christian; and Don and Ginia Shawl. When: Tuesday, Nov. 27, 1:30-2 p.m.
Big Brothers Big Sisters will provide Reading to Learn in partnership with community partners including Anderson and Fairmount schools in Bristol, Jonesborough Elementary in Washington County, Mountain View Elementary in Johnson City, and Kennedy and Lincoln elementary schools in Kingsport. Additional partners including Girls Inc., Boys and Girls Club, and Tech Gyrls. KNOXVILLE, TN (October 18, 2018) – Big Brothers Big Sisters of East Tennessee and the Vol Network today announced that mentors (Bigs) and mentees (Littles) will sell souvenir programs at remaining University of Tennessee home football games. A portion of the proceeds from sales will benefit BBBS-ETN. The partnership begins this Saturday, Oct. 20, before the University of Tennessee’s game vs. the University of Alabama. Program sales will continue for all remaining home games, including Nov. 3 (UT vs. Charlotte), Nov. 10 (vs. Kentucky) and Nov. 17 (vs. Missouri). On-site contact will be Brent Waugh, BBBS-ETN CEO—865.804.1288. For more than 60 years, the Vol Network has served as the main communications link between the University of Tennessee and its fans. As the broadcast rights holder to University of Tennessee athletics, IMG College/Vol Network manages UT radio and television programming, game day publications, on-line services, venue signage and various other marketing and promotional activities related to Big Orange athletics.